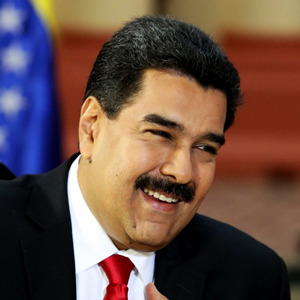 Stand with Venezuela’s President Maduro and the Bolivarian Revolution | Fight Back! Milwaukee, WI - On March 29, the Venezuelan Supreme Court stripped the National Assembly of its authority and took over legislative responsibilities for the government. This decision, one which they have the constitutional authority to do, has been met with widespread condemnation in the U.S. Media sources like NPR and CNN have referred to it as a “self-coup d’etat” and the establishment of a “dictatorship” by Venezuelan President Maduro. Members of the right-wing opposition, always the first to call for violence, have even hinted at this being the beginning of civil war. None of this is new. Ever since Hugo Chávez’s election in 1998 and the beginning of the national democratic Bolivarian Revolution, the Venezuelan government has been a target of vicious propaganda and political attacks by the U.S and open rebellion by the elite of the country. The irony of right-wing politicians calling the Supreme Court following the constitution a “self-coup”, when they themselves backed an armed coup against President Chávez in 2002, is not lost on supporters of Bolivarian Venezuela. The Supreme Court’s decision was the conclusion of over a year of political struggle. In January 2016, the National Assembly refused to remove three deputies who had been caught buying votes in the elections that gave the right-wing opposition a legislative majority. Their refusal brought the Assembly in contempt of the Supreme Court, which had ordered the deputies' removal for corruption and electoral fraud. The Bolivarian Revolution has faced severe tests in the past few years. Imperialism has launched a multi-pronged economic offensive on the country with the explicit goal of bringing down the national democratic government of Nicolás Maduro. On the local level, a large section of the capitalist class - which still dominates the Venezuelan economy - hoarded products and foodstuffs to create a consumer crisis. On the international level, the U.S. and others flooded the world with oil and gas, leading to a drastic drop in oil prices and forcing countries that depend on oil revenue - Venezuela, Iran, and Russia in particular – to face economic challenges. Food and consumer good prices soared, the Venezuelan currency, the bolívar, became a victim of hyper-inflation, and the right-wing opposition became emboldened. All of this had the purpose of creating a political crisis in Venezuela with an end goal of a downfall of the Maduro government by any means necessary. The Bolivarian Revolution, however, could not be so easily beaten. In response to the hoarding of food products, the government established Local Provision and Production Committees (CLAPs) to distribute subsidized food to poor families. CLAPs also supported government efforts to uncover hoarders and ensure that they are brought to justice. By the end of 2016, nearly 5 million people received their food from the CLAPs, and their establishment has been incredibly popular and led to Maduro receiving majority support in recent independent polls. At the same time as the CLAPs led this counter-offensive against Venezuelan businesses, President Maduro and other officials were traveling across the world to gain support for an end to the continuing drop in oil prices. In November, they achieved just that. Through their efforts, OPEC announced its first oil production limit in over eight years. Starting in January, OPEC oil production was cut by 1.2 million barrels per day. Russia, a major non-OPEC producer, also signed on to the deal. The US. was left out. Since this deal was reached, global oil prices have risen comfortably. With oil prices rising again, Venezuelan currency can stabilize and the economy can begin to grow again. These maneuvers by Maduro and the government are not insignificant. When the National Assembly was seized by the right wing in late 2015, many believed that the days of the Bolivarian Revolution were numbered. American imperialism smelled blood in the water and it waited for its allies in Venezuela to take back power for the rich. But that did not happen. In just over a year, the Bolivarian constitution has been preserved, economic saboteurs have been outed and undermined by popular organizations like the CLAPs, and U.S. maneuvers on the international stage have been thwarted - for now - by some smart geopolitics. And in this same space of time, nearly 400,000 houses have been built for the poor. Nearly 90% of the elderly have been guaranteed a pension, the highest figure in South America. It is no wonder that when leaders from across the world were gathered in Havana for Fidel Castro’s memorial, each speaking to the assembled crowd of hundreds of thousands of Cubans, Nicolás Maduro was the one met with the most rousing applause. He had faced off against the U.S. empire and did not back down. The latest condemnations from the Venezuelan right and the U.S. need to be understood in this context. Not only does the Maduro government continue to survive, but it continues to advance the Bolivarian Revolution against all odds. They deserve the support and solidarity of progressives and working class people all over the world.